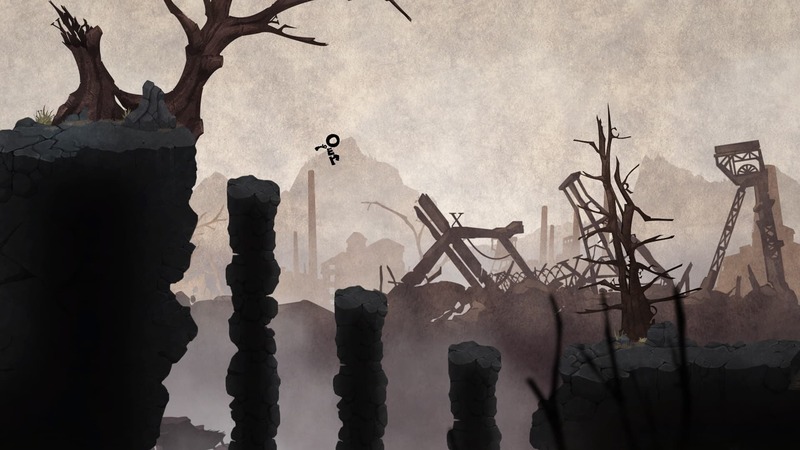 Spotlighted in Nintendo Treehouse: Live @ E3 2015’s coverage, Brainseed Factory’s Typoman easily distinguished itself as one of the more intriguing titles to be included in the Nindies@Home promotion. Their two-dimensional puzzle-platformer has been on quite a journey already with the concept first conceived in 2011. 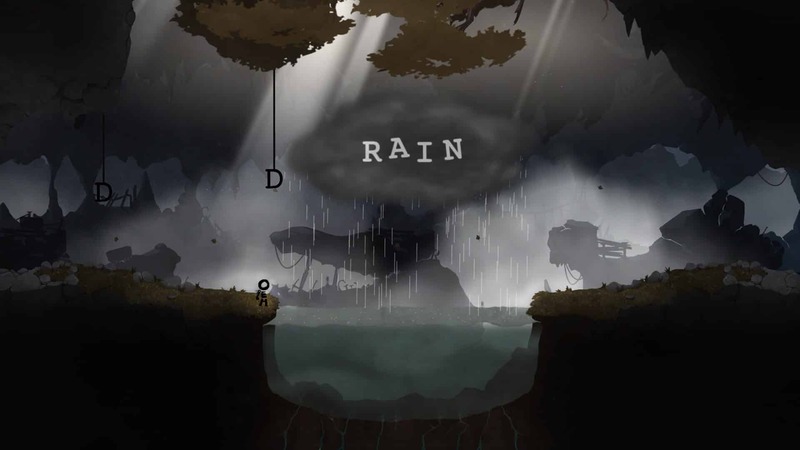 Telling the tale of HERO, players must make their way through a dark world in which they can use letters to alter their surrounding environment. It’s a novel idea, and a game that has already impressed many in securing awards and nominations at industry events worldwide. We took the chance to talk to Brainseed Factory’s founder and CEO Bilal Chbib at EGX 2015, exploring Typoman’s origins, the decision to make it a Wii U exclusive, and how they had worked hard to explore the power of words. Nintendo Insider: Perhaps we could begin by briefly introducing yourself, Brainseed Factory and how Typoman came to be? Bilal Chbib: I am the founder of Brainseed Factory. We’re a team of six right now, and the company was founded in 2013. At that time I was doing work for hire, and not much game development. The actual development of Typoman started one and a half years ago, before that it was a long concept phase because when you look at the game you can see that it’s pretty tough to come up with all the puzzles. Especially when the final game is approximately three – five hours. That’s the nature of the game, and the original idea was born at the end of 2011. Like I said, until we started two or three years went by and in that time we were doing lots of work for hire to finance ourselves, but at the same time working on the concept. We applied for a governmental funded institution for the game concept, we received the funding and then had time to elaborate more on the concept. After a while we were able to present a full game design document, and we applied for another funding for creating a prototype version. NI: Funding seems to be one challenge that faces most independent developers. Were you ever nervous that the government institution wouldn’t approve the project, or were they fairly supportive? NI: Once you had that greenlit, what was the next step for you? Did you have to register with Nintendo to receive a Wii U development kit? BC: Not directly. We believed in the concept from the beginning, but we needed something to show people. We created a video concept trailer where we showed some fake gameplay, with a certain puzzle where you can see what the premise of the game is. With that, we went to our current publisher – who is HeadUp Games – and to others, but they believed moreso in the project from the beginning, so we ended up with them. NI: Nintendo have actively gotten behind independent developers, and their partnership with Unity has certainly helped that. Did that encourage you to approach Wii U? BC: That’s one of the reasons why we ended up making it a Wii U exclusive title in the end. We also approached others of course, at various events that I was attending. Also, the other first-party publishers like Microsoft and Sony. But, I felt that they were approaching indie teams to encourage them to use their platform to release games. That was very encouraging, because the person that I had contact with asked questions, there was some email exchange, various emails where he discussed the concept art that I was presenting. And, he was very nice! [laughs] You don’t see that everywhere, especially when you’re a smaller development team with no previous track record or anything else like that. NI: I mentioned before the interview that it was great to see you on the Nintendo Treehouse: Live @ E3 coverage. Did you appreciate being given the chance for Typoman to have that exposure? BC: I believe, especially at E3, with the Treehouse and Nindies@Home Program, helped us a lot going public with the Typoman concept. I mean, we had a website and we did some things using social networks and the publisher that we’re working with, but the real push Typoman got was after E3. That was really good. NI: Were you pleased with the feedback that you saw from the Nindies@Home Program? BC: That was also very encouraging for us, but there was also some insight into how people play the game, where do they give up and what they wanted to have changed. There were some changes after creating the demo that we wanted to do without their feedback, but it was good to know that we’re on the right track. NI: I really felt that the Nindies@Home Program was a great way for those not at E3 to have chance to play the indie games. It’s been likened to Steam Greenlight, in that you can put out an early build to gather feedback that will hopefully help the game’s direction. Has that been beneficial in a similar way for you? NI: To someone that hadn’t heard about Typoman, how would you describe it to them? BC: There are various YouTube recordings that you can see, from people who recorded or reviewed the demo version and uploaded the video. So, people can look it up and see the whole demo run through. It’s a puzzle-platformed where you use words, or language, to solve the puzzles. It’s a different approach from other puzzle-platforming games, and it has a very unique concept and look. That’s what I would say to make it more interesting and appealing for people to check it out. NI: Nintendo have always tried to innovate with their hardware. Was their some attraction to approaching Wii U, when you saw the potential ways in which you could use the Wii U GamePad? BC: Definitely. I feel that the game itself has a unique concept and a different approach to creating a game, that fits this idea I have about Nintendo as very experimental, trying new things out and surprising people with new stuff. NI: Have you always been a Nintendo fan yourself? NI: …in your downtime when you’re not busy developing? BC: Sepia! We call it the ink-and-paper look. NI: That’s the word that I couldn’t remember! [laughs] Was that a distinctive choice for you from the concept stage? BC: We did everything on purpose – the art style we selected, and the level design. We will have three different chapters in the final game, and they all have their own art style. That has something with the underlying story. Like I said, we had a lot of time developing the concept and there is a large multi-layered story behind the game. You get many hints while you’re playing it, which will encourage you to find out what the game is all about. Why the hero is missing an arm, and searching for another arm. What is his quest? That is the first layer, but there are other layers that you can also see in different hints. It is an apocalyptic world, and the hero stands for something. He uses language to fight evil, to fight hate monsters, doom monsters and fear. He’s a symbol, or a tribute, for authors who write for freedom and fight against oppression and tyranny. NI: Broadly speaking, most people turn to ‘easier’ and more accessible forms of entertainment these days, whether that be watching television or playing games. I’d certainly say that I see less people reading these days, so was Typoman partly aimed at encouraging players to do so through its reliance on words? BC: It wasn’t our intention in the beginning. But when we were watching people playing it, especially non-native English speaking people when we were showcasing the game for example in Germany or Denmark, we saw families with kids playing the game. Or people who just studied typography, or something like that. I think it is a positive side effect to the game, especially when you’re not a native speaker and when you need to craft a word you do it the opposite way by trial-and-error. And then you eventually come up with the solution, because that’s the game design. That was our challenge, you will come to the solution and there is a hint system that will help you. It’s a compromise which we implemented because this game will never be localised to other languages, because the words themselves are part of the game world. So if you change them, half of the game would be different. People will notice when they solve a puzzle, as it will have an effect on the environment and you can then understand the meaning of the words. For example, it’s raining. There’s the word rain in the cloud, and there’s a bucket full of water that’s blocking your way. You add the letter ‘D’ to the rain, and it becomes drain. The rain stops, the meaning changes to drain and the water gets drained off and you can pass. That has an educational side effect to the game. It wasn’t our intention at the beginning [laughs], we wanted to make a game using typography and language. NI: The games industry is guilty of imitation, but it sounds like your the unique idea that you had initially really began to flourish when development began? BC: Exactly! Our game designer was writing down words, and he’s written down words on tens of pages to see which combinations we could create in the game that would make sense in any situation you are in. Changing the word by adding or removing a letter, that would suddenly get a different meaning – such as rain and drain. Or a part that turns on its own axis and becomes a trap, and kills you. And then you need to know how to solve the puzzle, think about it further, and then add an ‘S’ to the trap so that it becomes a ‘Strap.’ You strap the trap so that it doesn’t hit you again. It took a lot of time to do that, but, like you said, it was an initial idea and based on that everything began to flourish. The story which we have built upon that – the game world, the art style, everything that went into the game. NI: Had Nintendo’s partnership with Unity influenced your decision to develop the game for Wii U? BC: We used it before the decision was made to make it a Wii U title, and then a Wii U exclusive title. Unity is very good for independent teams to get started developing titles, and it helps a lot. But, the more we were developing with it, the more we noticed that we needed to program our own methods and functions that are not provided by Unity or by any engine. You need a dictionary that recognises the word, we have letters that you form words with, and the animations when the words turn into a monster. It was something that we had to build on top of it, but it’s still a very good thing to start with. NI: Unity has now introduced support for New Nintendo 3DS and New Nintendo 3DS XL. Would you consider developing for them with any future projects? BC: That’s one of the reasons why we decided to make it a Wii U exclusive title. The second screen helps a lot, for example in the game you need to craft words by pulling, pushing and throwing letters. But that gets quite exhausting if you do that all the time, especially when you have longer words. So we have implemented a word scrambler on the second screen without disrupting the TV screen, you can rearrange the letters using the touch functionality of the GamePad. That was very helpful, and it’s nice to use a different style of hardware – not only a controller with traditional buttons on it. NI: Was it a relatively simple process to implement that on the Wii U GamePad? BC: No, it’s not easy! [laughs] But it was ok, we’re capable developers on the team. NI: If I gave you 30 seconds to sell someone on the game, how would you describe it? BC: Change Words, Change Worlds! Now examine this sentence – one letter can change everything. That’s what Typoman is about. If you liked Limbo and Scribblenauts, then this is the perfect game for you. NI: Thanks for your time, Bilal!